In January-February 2019, exports of the agricultural sector of Ukraine, compared to the same period of 2018, increased by $ 683.8 million, which is 24.4%. About this informed. Olga Trofimtseva, Minister of Agrarian Policy and Food of Ukraine, reports the press service of the Ministry of Agrarian Policy. “Agrarian and food products in total exports of Ukraine accounted for 43.9%. 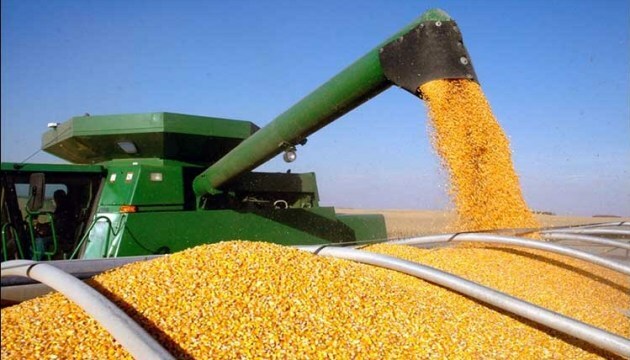 The leaders among the products that were exported were: corn (share in total agricultural exports - 33.6%), sunflower oil, safflower or cottonseed (20.13%) and wheat and a mixture of wheat with rye (11.84%), ” - noted Trofimtseva. In addition, in the first two months of this year, exports of such products as maize grew at a significant rate - by 84.4% (by $ 528.4 million); wheat - by 27.8% (almost $ 90 million); oilcake and other solid wastes from sunflower oil extraction - by 39.7% (by 55.8 million dollars); rapeseed - by 82.1% (by $ 30.2 million); cake and other solid waste of soybean oil - 2.1 times (by $ 26.2 million). “If we consider the regional structure of agricultural exports, most of all in the first two months of this year, we exported to Asia ($ 1.38 billion), followed by EU countries ($ 1.25 billion), Africa ( US $ 559 million) and the CIS countries (US $ 217 million), ”the official added. The top 10 largest importers of Ukrainian agricultural products for January-February 2019 included: India 9.6%, Egypt - 9.1%, Turkey - 7.8%, the Netherlands - 7.4%, Spain - 6.7% , China - 5.8%, Italy - 3.8%, Poland - 3.3%, Germany and Belarus with a share of exports - 2.9%.